It's been a while since we've last written about Boston's dining scene, and since then there's been plenty to write - given all the new establishments that have opened the past couple of months. And with the onset of the holidays, the city has seen what's probably the last rush of restaurant launches last weekend. So, if you and your friends are looking for a good place to have your holiday get together, there's no need to look elsewhere, as we're dishing out the details on the city's hottest and newest gastronomic destinations. There's a handful of restaurants that opened during the fall, capitalizing on the season when most people feel the need to dine out before winter really settles in. 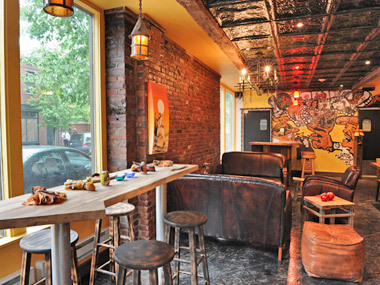 Living in a dining hotspot such as the South End definitely has its perks, as newly-opened El Centro (472 Shawmut Avenue, 617-262-5708) brings together the warmth of mexican food and homestyle cooking in a lively atmosphere that's sure not to be short on ambiance. 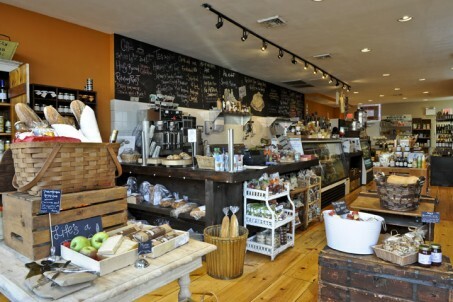 Just a short stroll away, artisan food store American Provisions (613 East Broadway, 617-269-6100) offers selections on fine foods, wines, cheeses, handmade pasta, and sandwiches that's sure to enliven your taste buds. Opening its doors just this weekend, hotly-anticipated Cinquecento (500 Harrison Ave., 617-338-9500) serves up some Roman-style reprieves, complete with an ambiance that has a subtle Italian feel, yet an upscale coziness. The dishes on this Aquitaine-owned establish truly does not disappoint, and is worthy to be on the same list as favorites Gaslight Brasserie, Union Bar and Grille, and Metropolis Cafe. 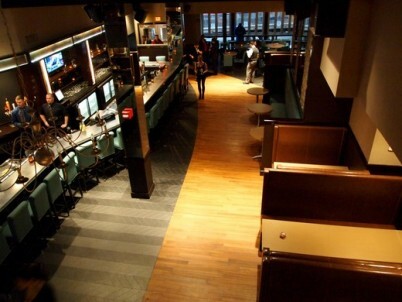 Last but not the least, Local 149 (149 P Street, 617-269-0900) isn't just your regular sports bar - in fact, it markets itself as the first British gastropub in town. Its massive bar and huge selection of pub grub definitely separates this watering hole from the rest. Cool Cambridge has also welcomed new members to its culinary circle with the launch of a number of chic and restaurants and watering holes. Abigail's (291 3D Street, 617-945-9086), has bravely opened its doors in the burgeoning dining scene on Kendall Square. It's mostly New England menu might seem a little too familiar at first, but satisfying surprises surely follow with every dish they prepare. Their kitchen plays host to a lot of innovators and employees in the area, and is slowly but surely becoming a Kendall Square favorite.Not to be outdone, Area Four (500 Technology Square, 617-758-4444) combines two restaurants in one, having an all-day bakery cafe, as well as a separate area that has two wood-fired ovens that churns out puffed-up pizzas, calzones, and other italian favorites, in addition to scones, buns, and daily sandwich specials to cover its cafe crowd. For those of you who have late night cravings after the merriment hours are official over, worry not - there's a lot of fine establishments out there that's got you covered. 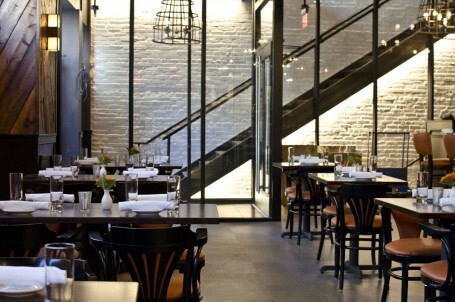 First off is Lucca (116 Huntington Ave., 617-247-2400) in Back Bay. Not only are they open for drinks and cocktails until the wee hours, but their kitchen also serves delectable food until closing. If you're mind is still racing from the day's exhaustion, wind out and chill out with your friends at Downtown Crossing's Scholars Bistro (25 School St. 617-248-0025) where their late night menu includes heavy food selections that won't leave you hanging. But if you're looking for some Chinese fare, fort night favorite Apollo (84 Harrison Ave., 617-423-3888) by Chinatown is open until 4 a.m. on Fridays and Saturdays. And finally, for a more modest late night eat, check out Pour House (907 Boylston Street, 617-236-1767) along busy Boylston, their kitchen don't close until 2am on weekends, so you'll get to energize yourself for another late night round, with satisfying staples such as burgers, wings, and more.